Give the walls of the swimming pool a good brush to remove any dirt or algae and then vacuum. Clean the skimmer box and scoop up any leaves that are on the surface. Generally green water will signal that the chlorine levels are too low. If you check the chlorine levels and they are below 0.5ppm then you need to shock the water with a large dose of chlorine to increase the levels to 10ppm. Check pH levels as well, aiming for a result of between 7 and 7.6. If levels are too high add some acid. Check that the filter and all of the swimming pool hardware is running in tip top shape. Be sure that the automatic timer is set so that it runs while you are away. It’s helpful if you can have a neighbour, friend or relative pop by and make sure it is running smoothly while you are away. If left to its own devices a blackout or blown fuse left could result in you being welcomed home to a murky, green swimming pool. 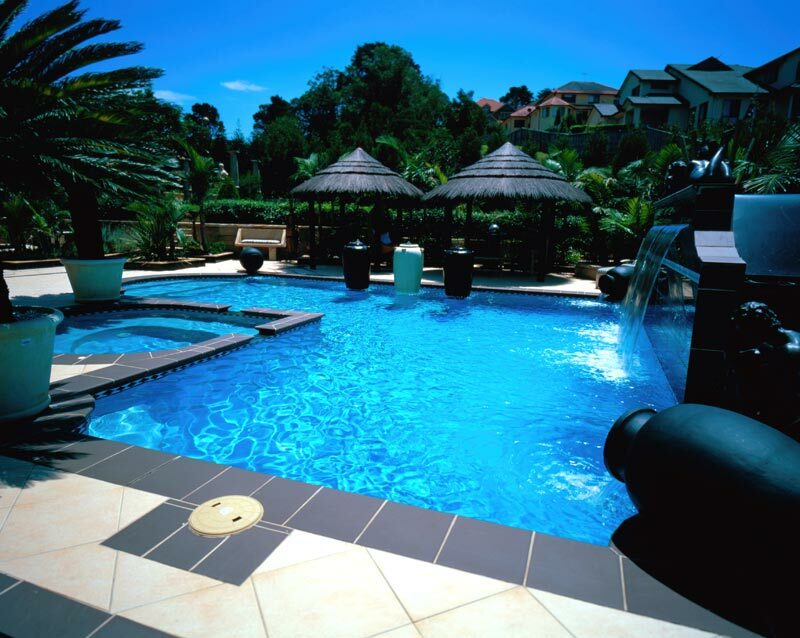 For the cashed-up swimming pool owners, self-cleaning swimming pool systems can provide peace of mind while away on holidays. As well as reducing cleaning and maintenance time, the new self-cleaning systems also reduce running and maintenance costs and limits the need for excessive chemicals being added to the pool. Because the system returns treated water to the floor of your swimming pool the escape of heat and chemicals from the water’s surface is greatly reduced. Overall, installing one of these cleaning systems can dramatically reduce a swimming pool’s environmental footprint.